Jack of Harts to me is more than just a story. It is a visual universe, with real characters and ships and star systems. To support this, I have commissioned the creation of art by people who I think have amazing talent, all to make Jack of Harts a more visual universe to everyone who reads it. I will be making the art available to all of you to see it, one piece at a time, in hopes that you will like it as much as I do. 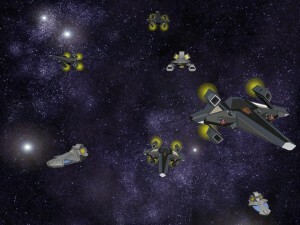 Alderfek’s Deviant Art – He is an amazing ship designer, and has a really fun game to play called Galactic. Stephen Huda’s Deviant Art – He is an amazing 3-D artist. Wansworld’s Deviant Art – This guy does some really good character art. Matt Plog’s Deviant Art – This man makes some truly amazing military designs, and brought life to my idea of what the uniforms in Jack of Harts should look like.